Hot dogs. Sparklers. Cupcakes. Streamers. Red, white, and blue EVERYTHING. July 4th is approaching, and along with it comes festivities of all types: festivals, pool parties, block parties, parades, and backyard barbeques. 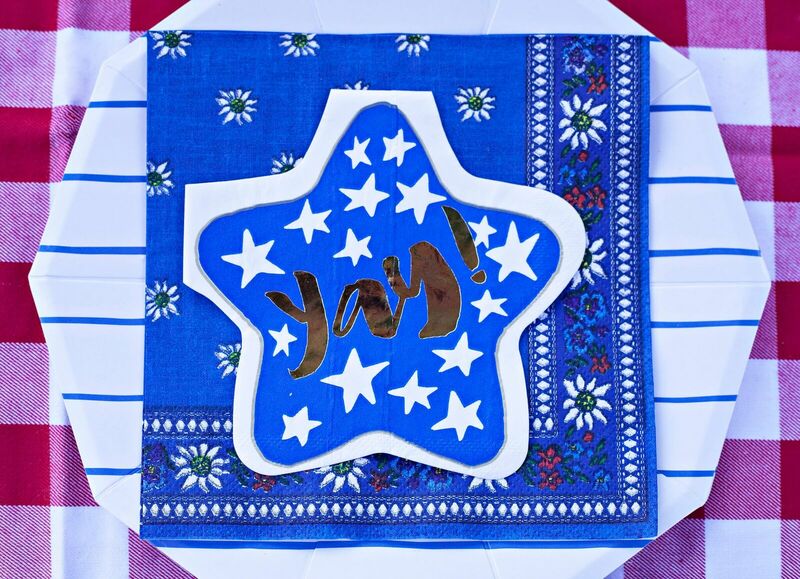 The only things that stand out more than the fireworks are the cheerful accessories, and there’s no better way to decorate your house, your backyard, your pool, or your outfit than with the multitude of patriotic and summer-themed adornments available at Emerson Sloan. Since its opening in 2014, Emerson Sloan, located in Rice Village, has become the go-to modern party supply store in Houston. Catering to kids, teens, and adults, owner Kim Etheridge’s well-edited collection of clever, curated items never fails to delight those who walk through the doors. From unique and stylish party ware, gifts, and signature customizable balloons to modern paper goods, fun toys, creative costume accessories, and elaborate center pieces available for rent, Emerson Sloan is the perfect one-stop shop for any celebration – big or small. As an entrepreneur, Etheridge is passionate about offering exceptional products to give customers the experience they’re looking to offer to their guests. As a working mom of two, she understands the everchanging whims of kids and stays on top of the current trends popular with the younger age groups. Her store, Emerson Sloan, is the perfect blend of these two perspectives, and Etheridge’s keen sense of what is important to both event hosts and attendees, along with her sharp eye towards whimsical décor, promises to make your next celebratory occasion a memorable one. Emerson Sloan is open from Monday thru Saturday from 10 a.m. – 6 p.m. and on Sundays from 12 p.m. – 5p.m. at 2414 Rice Boulevard.